Dutch Licorice Triple Salt are a salty licorice from Holland. You may also know them as Fortisal Extra Salty. 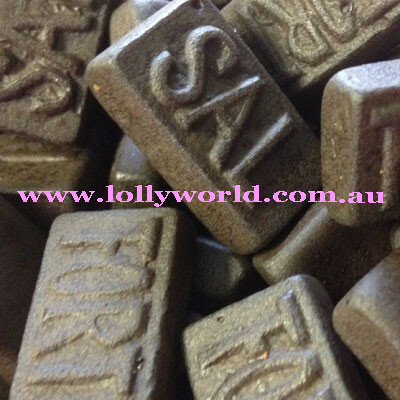 The licorice bricks have the words ‘FORTI’ and ‘SAL’ on them.